Pandit Deendayal Upadhyay (25 September 1916 – 11 February 1968) was an eminent Indian thinker, social worker and politician who was one of the leaders of the Bharatiya Jana Sangh, the forerunner of the present day Bharatiya Janata Party. He was born in 1916 in the village Chandrabhan, now called Deendayal Dham, near the Farah town in Mathura District, 26 km away from Mathura. His father, Bhagwati Prasad, was a well known astrologer and his mother Shrimati Rampyari was a religious-minded lady. Both his parents died when he was eight years old and he was brought up by his maternal uncle. He excelled academically under the guardianship of his maternal uncle and aunt. He went to high school in Pilani ,Jhunjhunu, Rajasthan where he matriculated. He stood first in the board exam, obtaining a Gold Medal from Maharaja Kalyan Singh of Sikar, along with a monthly scholarship of 10 rupees and an additional 250 rupees towards his books. He did Intermediate at the Birla College in Pilani, the predecessor of the present Birla Institute of Technology and Science. He did his B. A. at the Sanatan Dharma College, Kanpur in 1939 and graduated in the first division. He joined St. John's College, Agra to pursue a master's degree in English literature and got a gold medal. His maternal uncle persuaded him to appear for the Provincial Services Exam, where he got selected but declined to join the Services on account to work with Rashtriya Swayamsewak Sangh as it's full time worker, called Pracharak. He obtained a B.Ed and M.Ed degrees at Prayag and entered public service. While he was a student at Sanatan Dharma College, Kanpur in 1937, he came into contact with the Rashtriya Swayamsevak Sangh (RSS) through his classmate Baluji Mahashabde. He met the founder of the RSS, K. B. Hedgewar, who engaged with him in an intellectual discussion at one of the shakhas. Sunder Singh Bhandari was also one of his classmates at Kanpur. He dedicated himself to full-time work in the RSS from 1942. He had attended the 40-day summer vacation RSS camp at Nagpur where he underwent training in Sangh Education. After completing second-year training in the RSS Education Wing, Upadhyaya became a lifelong pracharak of the RSS. He worked as the pracharak for the Lakhimpur district and, from 1955, as the joint prant pracharak (regional organiser) for Uttar Pradesh. He was regarded as an ideal swayamsevak of the RSS essentially because ‘his discourse reflected the pure thought-current of the Sangh’. He started a monthly Rashtra Dharma from Lucknow in the 1940s. The publication was meant for spreading the ideology of Hindutva nationalism. He did not have his name printed as editor in any of the issues of this publication. Later he started a weekly Panchjanya and a daily Swadesh. In 1951, when Syama Prasad Mookerjee founded the Bharatiya Jana Sangh, Deendayal was seconded to the party by the RSS, tasked with moulding it into a genuine member of the Sangh Parivar. He was appointed as General Secretary of its Uttar Pradesh branch, and later the all-India General Secretary. After Mookerjee's death in 1953, the entire burden of nurturing the orphaned organisation and building it up as a nationwide movement fell on Deendayal. For 15 years, he remained the outfit's general secretary. He also contested for Lok Sabha from Uttar Pradesh, but failed to attract significant political traction and did not get elected. Upadhyaya conceived the political philosophy Integral Humanism. The philosophy of Integral Humanism advocates the simultaneous and integrated program of the body, mind and intellect and soul of each human being. His philosophy of Integral Humanism, which is a synthesis of the material and the spiritual, the individual and the collective, bears eloquent testimony to this. He visualised for India a decentralised polity and self-reliant economy with the village as the base. 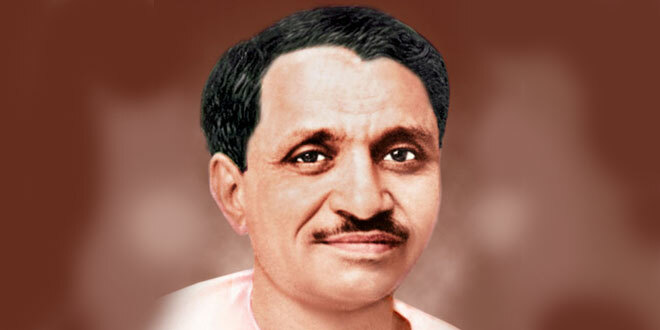 Deendayal Upadhyaya was convinced that India as an independent nation could not rely upon Western concepts like individualism, democracy, socialism, communism or capitalism and was of the view that the Indian polity after Independence has been raised upon these superficial Western foundations and not rooted in the traditions of India's ancient culture. He was of the view that the Indian intellect was getting suffocated by Western theories, which left a "roadblock" to the growth and expansion of original Bharatiya (Sanskrit: "of Bharat" [India]) thought. Upadhyay was compelled to answer what he felt was the urgent need in India for a "fresh breeze". He welcomed modern technology but wanted it to be adapted to suit Indian requirements. He believed in Swaraj ("Self-governance"). He died under unexpected circumstances and was found dead on 11 February 1968 at Mughal Sarai railway yard. Upadhyaya edited Panchjanya (Weekly) and Swadesh (Daily) from Lucknow. 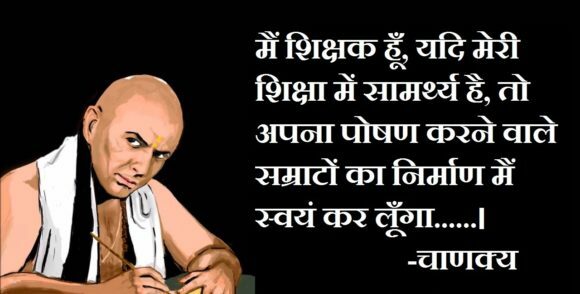 In Hindi, he has written a drama Chandragupta Maurya, and later wrote a biography of Shankaracharya. He translated a Marathi biography of Hedgewar, the founder of RSS. He won awards and scholarships from the Maharaja of Sikar and industrialist Ghanashyam Das Birla. Turning down all offers of government and private sector employment, he joined the RSS. He kept company with Nanaji Deshmukh and Sundar Singh Bhandari, RSS pracharaks who went on to play a critical role in anti-Congress politics in the 1960s and 70s. Rising rapidly through the RSS ranks, he started a series of publications including its current mouthpiece, Panchjanya, and started another when this was banned. When that too, was suppressed, he launched a third one. He served as its compositor, machine man and dispatcher and never missed an issue. In a recent lecture, K. N. Govindacharya, who parted ways with the BJP, recalls how Upadhyaya expelled seven of the nine Jan Sangh MLAs in Rajasthan for opposing the Zamindari Abolition Act. He outlined his philosophy for governance to some 500 party workers in 1964 and presented an expanded version at its plenary session in 1965. The final version was delivered in the form of four lectures in Bombay, titled “Integral Humanism”. According to BJP veteran LK Advani, the title was chosen to contrast it with the thesis of ‘Radical Humanism’ put forward by MN Roy, the former Communist leader. The Deen Dayal Research Institute deals with queries on Upadhyaya and his works. He died on 11 February 1968 at Mughalsarai in UP, while travelling in a train under mysterious circumstances.